"The Drug In Me Is You" by Falling in Reverse, off the album 'The Drug In Me Is You,' in stores now! then whats the point of living life if it just contradicts? 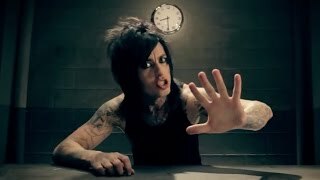 Falling In Reverse - "I'm Not A Vampire"
Falling In Reverse - "Chemical Prisoner"
Falling In Reverse - "Losing My Life"
Falling In Reverse - "Alone"